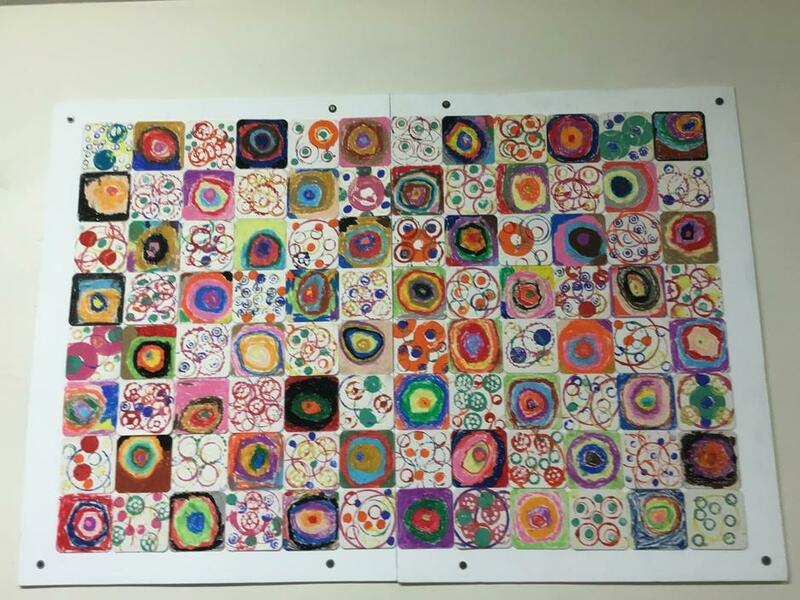 Our new whole school art project was inspired by the stories 'Ish' By Peter Reynolds and 'The Dot' By Peter Reynolds. The message in the stories enabled children to think freely about their artwork and to value the talents of everyone. 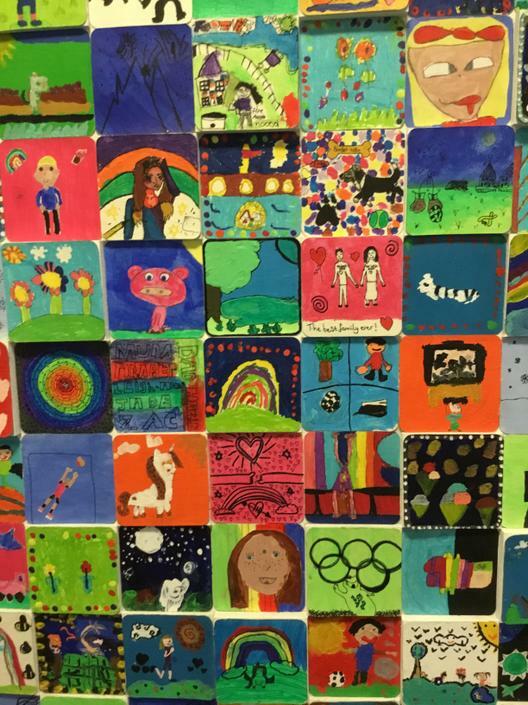 The children from Year 1 to Year 6 each designed a tile which represented something meaningful to themselves. Family, friends, food, hobbies, feelings, dreams and animals were just some of the wonderful ideas the children came up with. 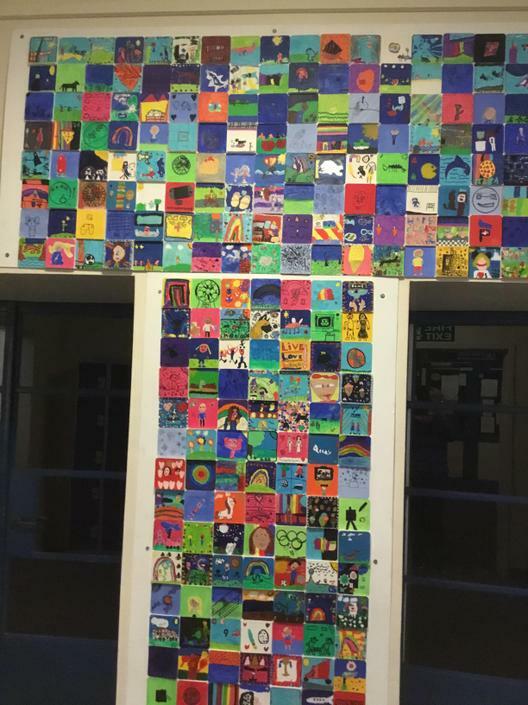 All the artwork was combined to make this wonderful whole school display.